United Airlines: Quality Taking Off or Crash Landing? In recent years, the United Airlines Company has fallen drastically in terms of Quality. Complaint after complaint United continued to try new approaches to improve user and product based qualities. As a result of their changes, they received a ranking of dead last in AirlineQuality Ratings. United is arguing this ranking of 2012 but I would love to hear what you all have to say after reading this blog post. As we know, United Airlines reputation had plummeted after previous unfortunate events. This has had a huge impact on their quality as a company. They have been forced into the dead last position and now they are tryingdifferent approaches to fly their way to the top. The initiatives that United is implementing include sharpening performance, enhancing passengers experience and making service more responsive. The stigma of their reputation has haunted them throughout the years, but let’s see if the initiatives are taking off, or if the Airline Quality Ratings ranking is accurate. The judging process of this ranking system is based off four key areas including “on-time arrivals, mishandled bags, rate of passengers bumped off overbooked flights, and the number of customer complaints.” Seeing as the complaint rates have doubled in the past year, I am guessing that United is wrong in what they have claimed to be doing. It appears that the features and conformance that it takes to have high quality ratings guide the performance of their product quality. The only place that they are visibly making an effort to improve is their status is by hiring more full-time reservations agents that angry customers use to vent about their frustrations! 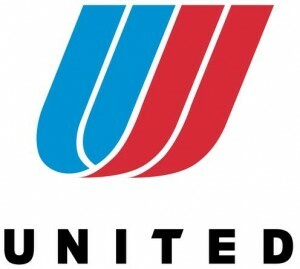 As an occasional United flier, I can say that I have seen an improvement in numbers but not an improvement in quality. United Airlines has taken initiative to improve company quality through thte usage of social media initiatives. Mark Krolik, the Director of Marketing and Product Development stated, “Anyone who’s tweeted at United and gotten their problem resolved is someone who isn’t standing in line at the airport service counter.” This sums up the companies value in quality. They are not succeeding transcendentally. Rather, they are taking the bare minimum initiatives and hiring individuals for venting purposes as opposed to hiring individuals to make improvements. Although it might appear that United is only making minimal changes, two out of three of their initiatives are being fulfilled through these simple differences. Many individuals have had great experiences in finding alternatives to cancelled or delayed flights and taking advantage of social media has also helped individuals stay calm in hectic times. The key to this ease in customer frustration revolves around loyalty and quick responses. For example, an individual with a delayed flight was so frustrated that she directly tweeted at united and told them about her angers. They responded promptly to her tweet giving her options around her delay but a service representative had already helped her. United even goes above and beyond by following up on tweets even if there is no need to. They are going above the expectations of quality responsive services through social media acts such as this one. What do you all believe? Does United Airlines deserve the “dead last” ranking that they received? Through your own experiences or simply through this text, please let me know if you think they could be doing more or if they are dong enough in this first step of regaining loyalty and reputation. ← Are you inferring I’m bad at mathematics? You make a lot of good points. Many individuals do take to social networking sites to vent about their bad experiences with companies. Although United may answer to someone’s tweet in a timely manner, what exactly is that doing to help the customer at that moment? I have flown United a few times, and from my experience it was not enjoyable. There was a time we were waiting to get off the plane for 45 minutes. I know this might not be the airlines fault directly, but they need to do everything they can to cut customer’s travel time, not extend it. This is an interesting article. The last time I flown on United Airlines was last summer. My experience was pleasant. I’m not sure if they deserve to be last in the ranking. The ranking system lacks the safety issue, which I think is more important than anything else.